Home > Affording a Mortgage > Can I Lower My Mortgage Payments? If you’re finding your monthly mortgage payments are becoming too much to handle, don’t despair there are things you can do to lower them. With lenders hiking their mortgage rates on a regular basis, more people are finding it harder to pay their mortgage, so don’t worry, you are not alone. 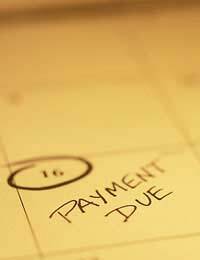 These few questions should help you decipher if there is a way to lower your payments. You are in a good position to reduce your monthly mortgage costs and it appears there are some steps you can take to make this happen. Millions of people are unaware that by switching from their lender’s Standard Variable Rate they could save hundreds. The SVR is the rate that you start paying once your fixed rate or tracker rate expires, but this is normally a high rate. You should speak to a mortgage broker or lender about other rates you could remortgage onto. If you are really stuck you could always downsize your property or extend your mortgage period. If you are still young enough to add a few years to your mortgage this could dramatically reduce your payments. Although not ideal, you could use it as a short-term measure and shorten it again once you are on your feet. Taking a payment holiday or switching to interest only is an option, but a mortgage lender might be picky when it comes to this, so it is worth speaking to them first. It sounds like there are things you can do to reduce your mortgage payments, but you might have to be flexible. You could downsize or extend your mortgage period. If you are coming to the end of your current fixed rate period there is a good possibility you will be able to find a better deal elsewhere. But be warned, it may also mean that your mortgage payments could go up, so brace yourself. If you have fallen on hard times and just need to reduce your payments temporarily, your first stop should be your mortgage lender who should be able to help. If this fails, you should visit a fee-free mortgage broker to see if they can offer you any additional advice. I’m afraid it’s bad news, it looks like you have already maxed out any options that you may have had. You may want to consider selling and switching to rented accommodation. There are however schemes available from the government that are aimed at helping people stay in their property. A visit to your local Citizens Advice Bureau should help you decipher whether these are applicable to you. It is also important to keep in constant contact with your mortgage lender, as they will want to help you as much as possible. Keeping up with growing mortgage payments is not always easy and with an unpredictable interest rate you can find yourself suddenly paying more. This along with growing unemployment means that more people than ever are in financial difficulties, but if you do find yourself in this situation it is important to seek help as soon as possible. I am considering downsizing due to a change in personal circumstances and financial needs but just can't get my head round the numbers. My current house is worth c.£230,000 with an outstanding mortgage of £91000 so there's lots of equity. I've seen a some house for £180,000 but I could get it for less and it needs money spending on it. What I need to know is what my monthly payments would be as that is my biggest worry at the moment and is making my life hard. Currently £625 per month, best deal I could find and my credit score is awful. Any advice gratefully received. Bank with ulster bank lookin to find out if any way of lowering mortgage payments.having missed any monthly payments and I don't want to fall behind.would b great to get some info back. @Far Away - this is such a shame when you are so near and yet seemingly so far from paying off your full mortgage. Here's a link to Step Changelink here . The Government has created a number of schemes to help people who are struggling with their mortgage payments and it includes information on its Mortgage Rescue Scheme which may help you. @Far Away - this must be very difficult for you - have you thought of getting a lodger in so you can meet the payments? I'm almost at the end of my very small mortgage. I currently owe around £8000 on it. The problem is that I can no longer afford the payments. I lost my job a few years ago and have been unable to find a new permanent position. I have been struggling to make payments and have recently missed a few ( however I have never missed a mortgage payment). My lender is most unsympathetic. They refused to allow me to change my mortgage during the summer when I requested explained my circumstances. They said I must wait until 15th November. I have contacted them again and due to the missed payments lately they said they cannot help me. The person I spoke with even implied that they had the right to call my mortgage in in full should I proceed with an application for remortgage. I don't know what to do. I can't afford to make my current payments and I have paid off so much. I simply can't continue with the current payments and am afraid I will loose my home. Is there anything I can do? I can't affairs to pay my mortgage off if they call it in and I can't afford the payments. I would never get another mortgage with another company. This is my only home. Rent would cost me more if I was to move. I have so many bills that if I was able to reduce my mortgage payments I could meet some of them with a debt management plan, but my lender won't allow me to reduce or remortgage. @Larry - if you have profitable accounts from your business you should stand a good chance of getting a much better deal. There are no self cert mortgages any longer so you will be assessed on your accounts and the lending terms will not be as flexible as they once were. Lenders may want proof that you'll earn similar sums in future years. They might want to know more about your business and what your estimated earnings will be. However, they will want any figures backed up. Most lenders will look at you seriously if you can prove you can make the repayments and also produce a SA302 form. I suggest the best thing would be to make some general enquiries with the main lenders, then perhaps look at some specialist ones that might have some niche self-employed packages. I hope this helps.